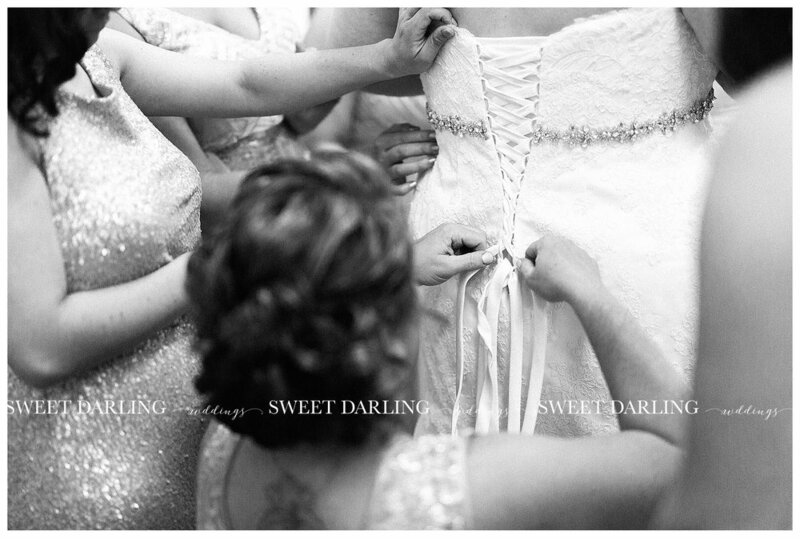 We first met Brittni and TJ at the I Hotel in Champaign during a wedding expo almost a year and a half ago. An engaged couple could essentially plan their entire wedding in one afternoon if they were ambitious enough because at these type of expos, not only was Sweet Darling Weddings there to discuss wedding photography with future brides and grooms but there were companies showcasing dresses, rings, DJ's, cake, catering, and the list goes on. Sitting down to meet with them shortly after the expo at Espresso Royale we immediately knew we were gonna enjoy spending time with them at both their engagement session and on their wedding day. 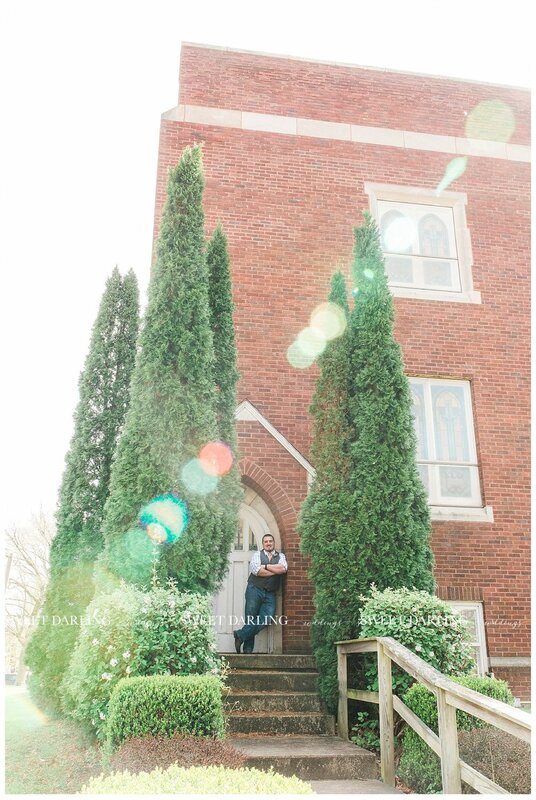 You can check out some of our favorite pics of their engagement session HERE! 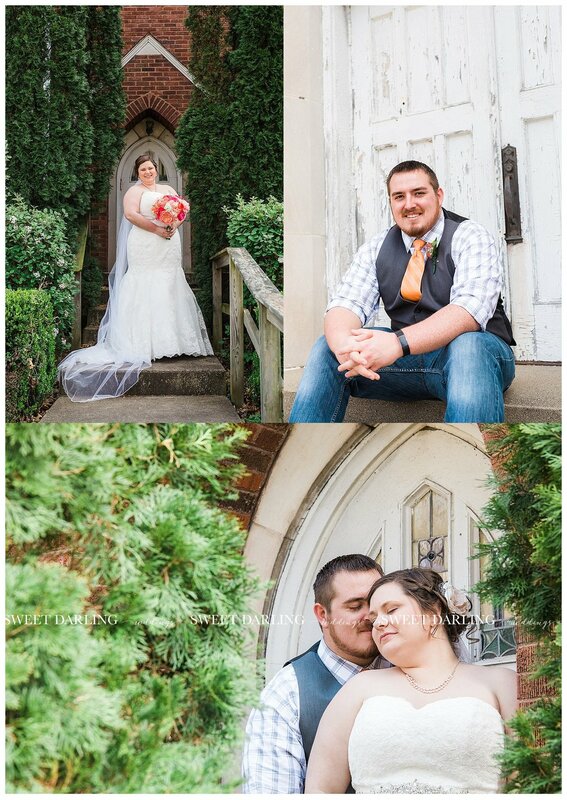 Their wedding was held at Oakland Christian Church in Oakland, Illinois, a small town west of Arcola, and has a lot of sentimental meeting to them. They've known each other since they were kids, and actually met at youth group at this very church. How awesome is it that they said, "I do" in the very same church where they first said "Hi"?!? God truly brought them together! :-) And many of the photographs we took on the church steps are the very same steps that Brittni and TJ could be found after youth group hanging out and holding hands. All at once now, "awwwwwwww!" We know you were thinking it and maybe like myself, said 'awwwww' out loud. I love the connection they've had from a very young age! Every couple's story is unique and we love hearing every detail. This church instantly became more sentimental to us knowing the history it had for the two of them and we wanted to photograph as much as possible at the church. 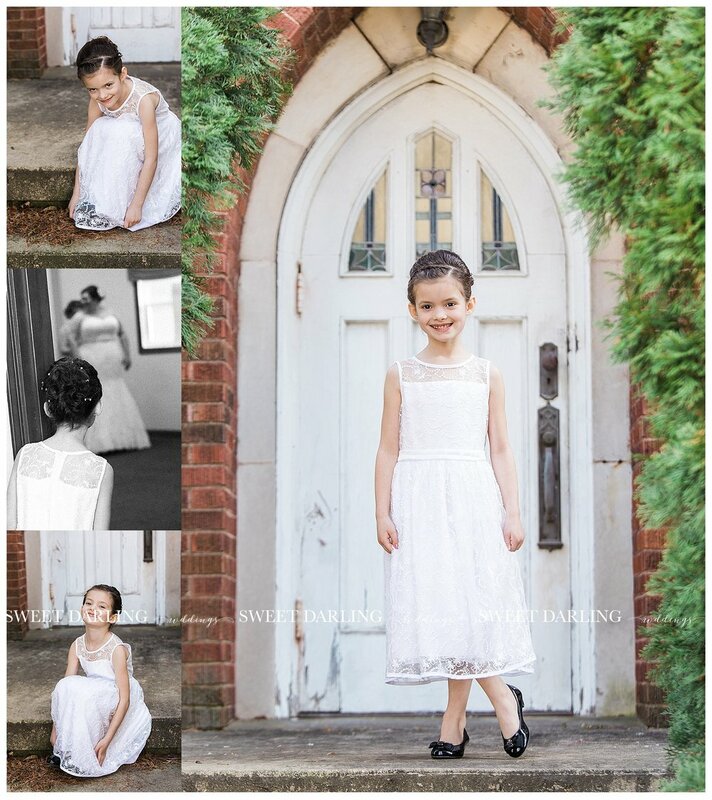 It is very much a part of their story so it was important we capture a variety of portraits, wedding details and candid moments between them and their family and friends at the church. Some photographers might get frustrated taking outdoor pictures on a windy day but we embrace whatever is thrown our way and use it to our advantage...especially when your bride is wearing a long veil. Yes, we squealed on more than one occasion when we'd find the perfect locations so the wind would catch the veil 'just right' creating the most beautiful images of Brittni on her wedding day. Brittni and TJ, thanks for allowing us to capture the first few hours of your life together. We pray that the two of you spend another 653.053 hours together. And for anyone that provide the correct answer to how many years those hours add up to be will earn a gold star for you AND Brittni and TJ will receive a free 8x10 mounted print of their choice! :-) Leave your answer in the comments below. Show TJ & Brittni some love! 15 comments below and they will receive an 11×14 mounted print of their choice. After 30 comments, the couple will receive a complimentary 16×20 mounted print of their choice AND a custom phone app! So go on, spend a few seconds leaving a comment on this blog post by Wednesday, May 3rd and you can say you chipped in to get the portrait they have hanging on their wall.